There are a lot of treatments out there promising to correct damage. However, not all of them provide what's promised. 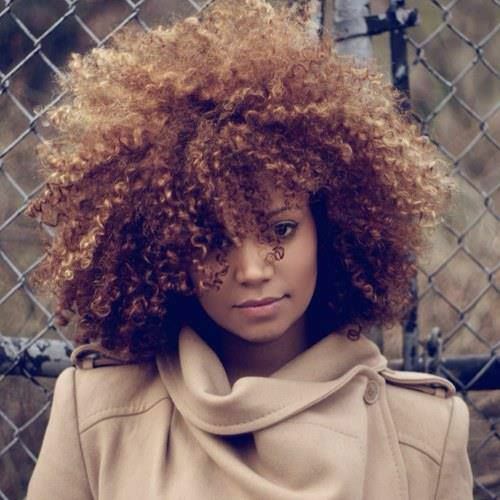 There are tons of great DIY damaged curl treatments. Give these great recipes a try and let us know what you think. Warm 2-4 tablespoons of coconut oil (add or subtract amount based upon your curls) until fully melted but not boiling. Allow it to cool for several minutes. Wet curls and section into 4-6 even sections. Apply the coconut oil by massaging into the scalp. Also, make sure to pull the oil through to the ends. Cover with a plastic cap and allow to sit overnight. In the morning, wash out with warm water and gentle shampoo. Place 4 tablespoons of extra virgin olive oil in a pan. Heat until completely warmed and allow to cool for a couple of minutes. Wash curls with a gentle shampoo and massage the oil into the scalp. Pull through curls, and let sit for 5 minutes before rinsing with warm water. Follow with your favorite conditioner. Find a ripe avocado, scoop, and mash the insides until smooth. Add 2 tablespoons of olive oil and mix until both ingredients are smooth and well blended. Apply to freshly washed curls from scalp to ends. Make sure to thoroughly cover all your strands. Leave on your hair for one hour before rinsing with cool water. Take 1/2 cup of the gooseberry juice, and place into a bowl. Add 1/2 cup unflavored Greek yogurt and 2 tablespoons raw honey. Mix all ingredients together until completely blended. Apply from roots to ends, making sure to carefully massage the mixture into your scalp to break up any build up. Massage for 15 minutes, and allow to sit for another 15 before rinsing out. Take 6-10 neem leaves, and boil in 3 cups of filtered water. Cool, strain out the leaves, and store in an airtight container. Use to rinse curls after shampooing to cleanse and close the cuticle.